View photos of Midtown Square to experience some of our great community features and discover why our Glenview apartments are just right for you. Our community clubhouse is the perfect place to unwind after a long day or enjoy time with friends. With a fully equipped business center and 24-hour access gym, Midtown Square helps you find the perfect work/life balance. Our community features other impressive conveniences like a coffee bar, conference room, dog wash station, and so much more! Continue exploring our photos to see snapshots of our elegant apartment interiors with spacious bedrooms, expansive kitchens, and sophisticated interior features. 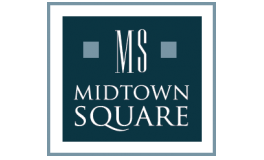 Apply online now to begin the process of making Midtown Square your new home!